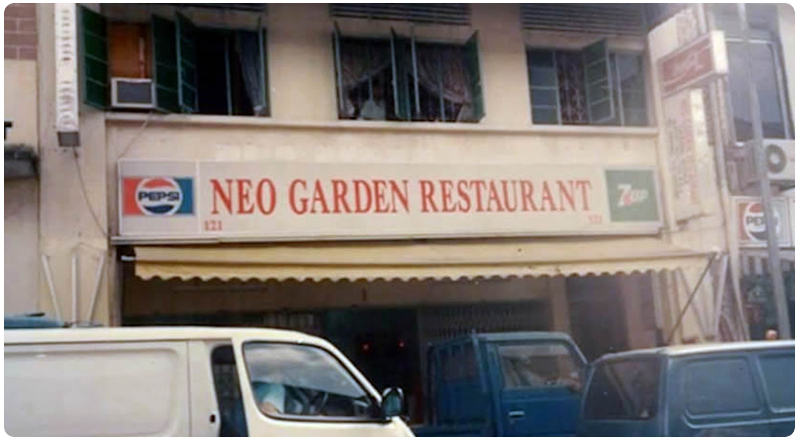 The first iteration of the Neo Garden logo featured a blue chef’s hat sitting atop the brand name in red. Blue is the colour of trustworthiness and reliability, and red signified our pioneering spirit and passion to lead in the industry. Later, the chef’s hat was replaced with a food warmer, to strengthen the representation of our core business as a catering company. The steam from freshly cooked food wafting out of the warmer is stylised as an “N’. The colours of happiness, innovation and liveness, maroon and orange were selected, alongside the new tagline “We deliver the restaurant to you”. To commemorate the brand’s 25th anniversary in 2017, the logo is refreshed to remain relevant in today’s generation. An update to the typography in both English and Chinese characters delivers a modern and creative image. The now iconic food warmer and corporate colours are retained to illustrate our commitment to our roots of ensuring our customers’ happiness. The new tagline, “Bringing People Together” was introduced to reflect the brand’s ability to bond family and friends over its delicious products. The new tagline, “Bringing People Together” was introduced to reflect the brand’s ability to bond family and friends over its delicious products. Uniforms are a way for us to strengthen our corporate identity and spirit in the workplace. Each catering crew is issued a set of uniforms in seven different colours. Each colour represents a company value, to remind and to encourage our employees. The Chinese quotes are written in theme of “心” (heart), as everyone in the company is reminded to always speak and act with sincerity. As a company that is centered on bringing restaurant-quality food to the doorsteps of our customers, our fleet of delivery vehicles help spread the word and aroma that good food is in the vicinity. Catering Captains take ownership of their assigned vehicle by ensuring both the interior and exterior of the vehicle are kept spick and span with weekly washes. Regular maintenance checks are scheduled for each vehicle to ensure the safety of each vehicle. The company had its humble beginnings in a shared space of 2,000 square feet. 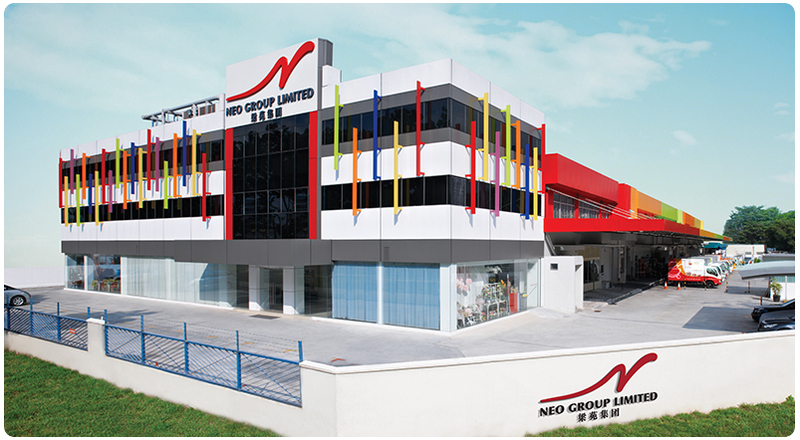 Today, it operates out of a 75,000 square feet building at 1 Enterprise Road, a striking landmark adorned in colours of the brands under the Group. The premise houses the company’s central kitchen, corporate headquarters, as well as its logistical storage needs. As the business flourished, the need for space to accommodate its growth arose. As a budding business in the era of technological growth, space was also required to fit new machinery and technology. 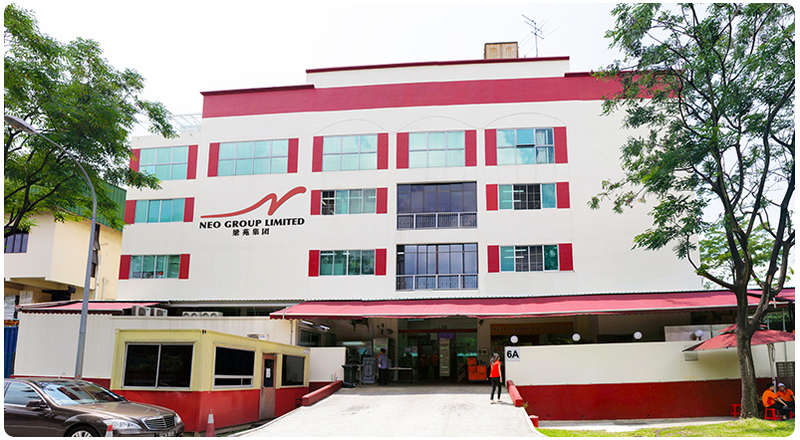 From the 2,000 square feet shopfront, the company’s continued growth necessitated a move to a coffee shop to Jurong West, and then later to a bigger premise at Wan Lee Road. Today, plans are underway for a new plot of land acquired at Quality Road, which promises improved facilities for both corporate and operations. 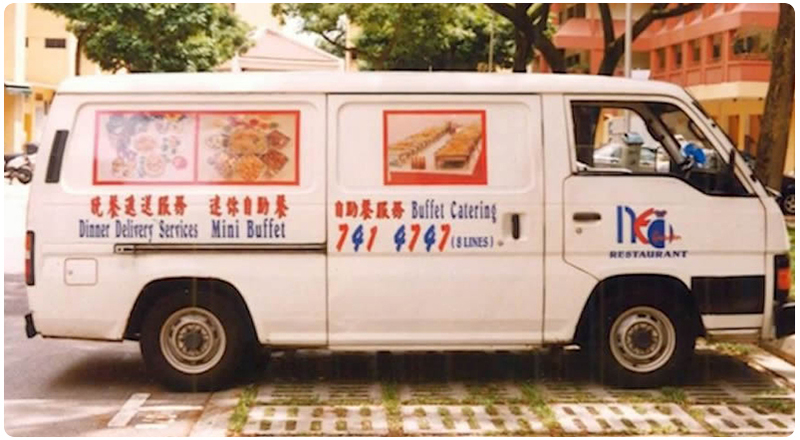 As the leading caterer in Singapore, the company has taken initiatives to protect the environment and community we operate in. 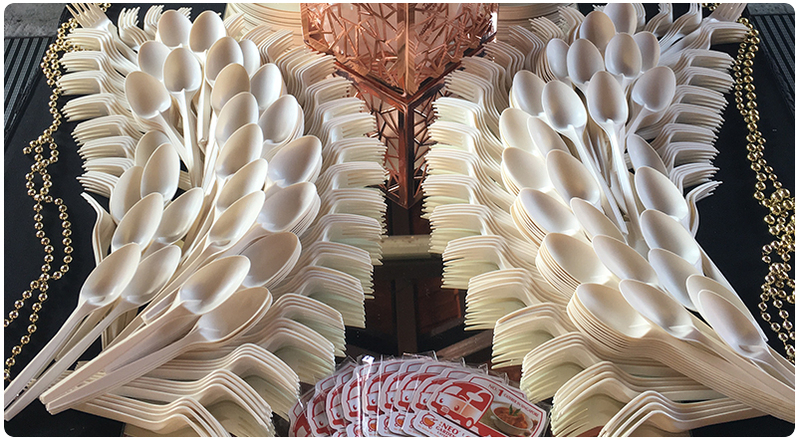 The move to replace disposable ware to biodegradable Cornware was introduced in 2012, a move that has significantly reduced our carbon footprint and impact on the environment. The company also introduced reuseable microwaveable containers, instead of aluminium and foam containers, for its mini buffet options, despite higher costs.